FireElement is a premier gas fireplace retailer specializing in installation an long term fireplace maintenance. They can also retrofit any old wood fireplace with with a gas insert or assist with putting together your dream outdoor kitchen. 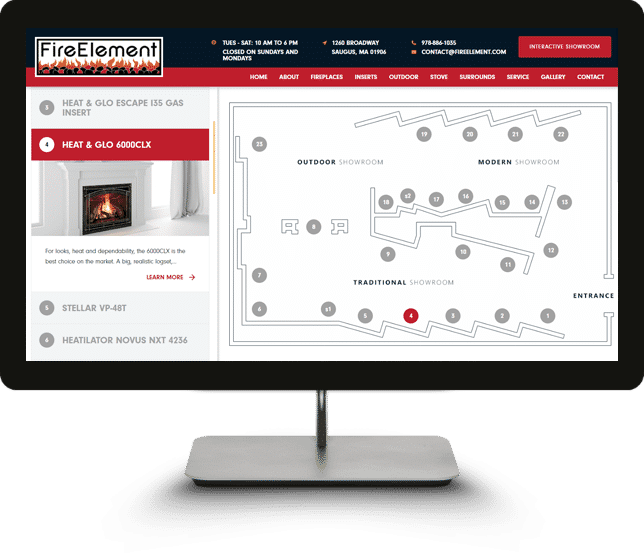 FireElement has a massive, new showroom located in Saugus, MA that features 25+ fireplace installs for customers to go and explore for themselves. 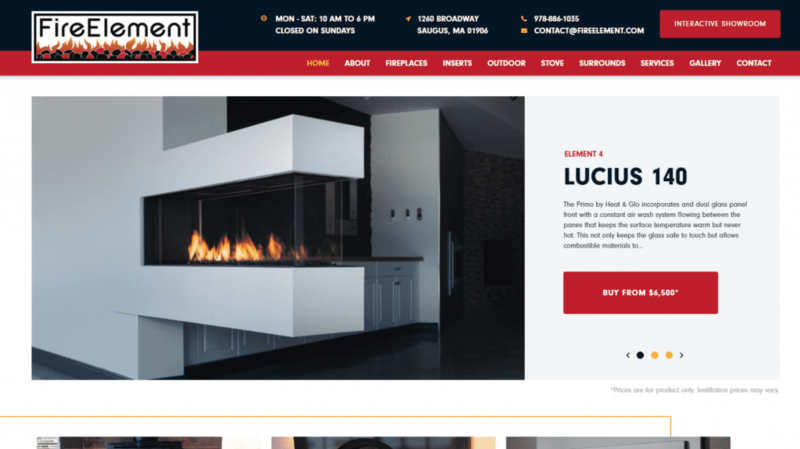 With a service area that covers the greater Boston area and expands beyond the North shore into New Hampshire, the company takes great pride in supplies the industries more efficient indoor and outdoor gas fireplaces. 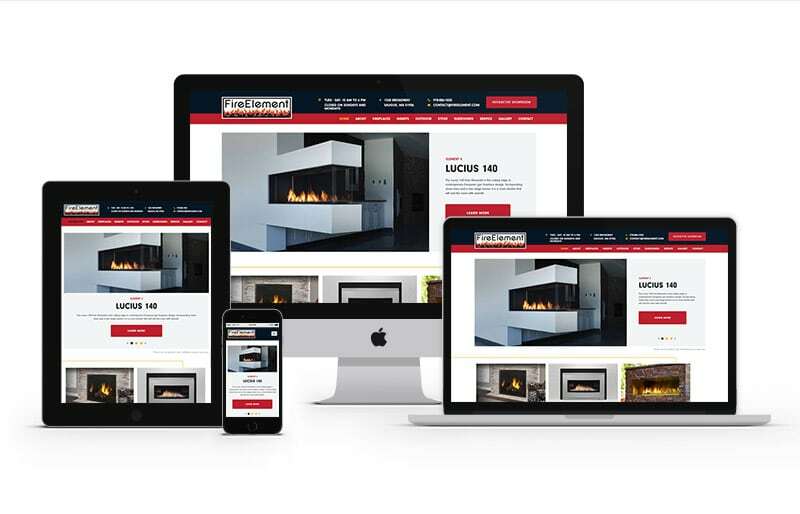 GoingClear Interactive was responsible for the designs and development of the new FireElement website. For this project, the client had some amazing high resolution photography that we made a point to showcase along with plenty of white space so each photo has an opportunity to stand out on its own. We used big, beautiful typography in combination with almost a magazine style layout to give the Fire Element their brand a more upscale look. All content has been customized on the back-end so the client can easily make updates as their business continues to grow. 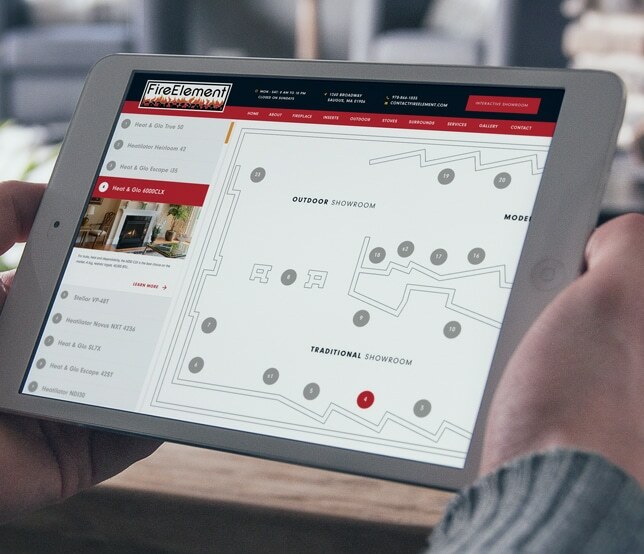 We even developed an interactive Showroom page so users can see feel like they're walking through the Fire Element showroom no matter where they are! 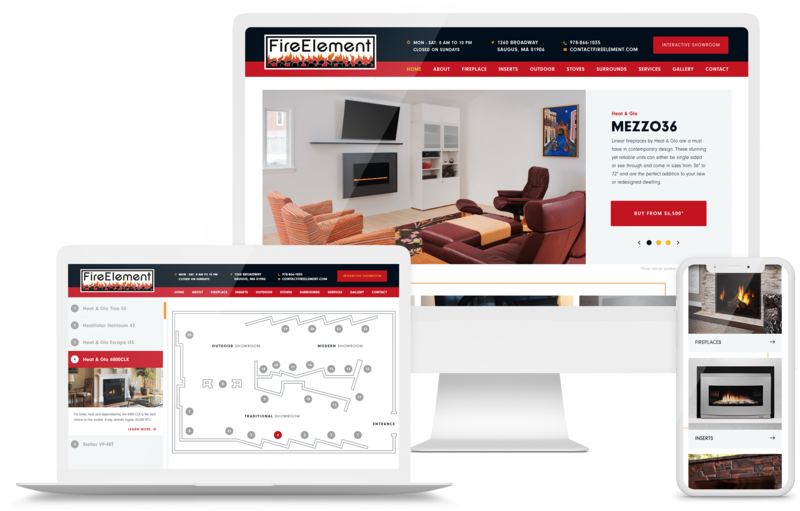 The new Fire Element website was built using WordPress as the CMS (Content Management System) along with a fully mobile and tablet friendly design leveraging Twitter Bootstrap for the responsive framework so visitors are certain to have a great experience on all of their devices.